Socius Marketing has taken our website and Internet marketing to a whole new level. They understand how SEO and internet marketing works and what it takes to generate a lead. They are professional and are always thinking ahead of ways to improve what we are doing. Socius Marketing has helped our website increase its traffic, ranking, and brand awareness through quality SEO and internet marketing. Their team is knowledgeable and takes a professional approach in everything they do. 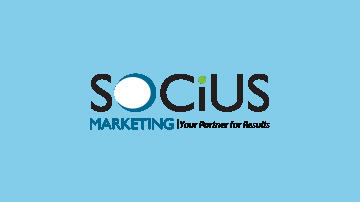 I just want to tell everyone how pleased we are with the services offered to us by Socius Marketing. Our website is now delivering leads like never before, and their team is a dream to work with. Whenever we have a question about the website, it gets answered quickly and accurately. This is the best advertising money we have ever spent! Socius Marketing has been an amazing strategic partner for our company. They have extensive knowledge about online marketing and have produced very technical marketing content without hesitation. They take an educational approach unlike any other company, so we are able to further grasp the concept of SEO. We are very excited to continue our partnership into the future with them. They value their customers, which is why we love working for them.